Asus has refreshed its thin and light 13.3-inch Zenbook range with some really powerful upgrades. The new models are known as the UX301 and UX302 and have all new latest-generation Haswell Intel processors, beefed-up graphics and a high resolution WQHD display on certain versions. 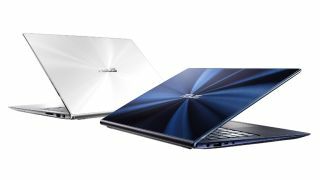 The new pair of Ultrabooks replace the existing models launched in 2012 and are the third generation versions of Asus' flagship laptop following on from 2011's original poster boy for Intel's Ultrabook dream. The models are available in two screen versions – a 1,920 x 1,080 Full HD display that we saw on last year's Zenbook Prime as well as a whopping 2,560 x 1,440 WQHD display. That's not quite at 13-inch MacBook Pro retina 2,560 x 1,600 resolution, but it's really not far off. Other screen stats include a 178-degree viewing angle, plus 10-point multi-touch for Windows 8. As you'd expect, they also have latest-gen Intel Core processors from the Core i5-4200U up to a high-end 28W Core i7-4558U option. And to power that high-end screen, you either get Intel Iris or Nvidia GeForce GT 730M with Optimus auto-switching graphics. That's some serious power and happily trumps the standard Intel HD 5000 graphics inside the MacBook Air. Storage can also be specified up to a 512GB RAID0 SSD unit, while 802.11ac Wi-Fi is also included in all the new Zenbooks.